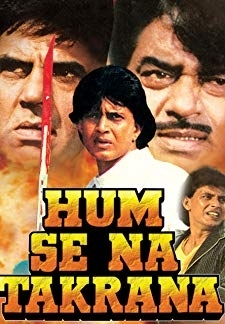 © 2018 Scratchu.com Hum Se Na Takarana | Master Bhagwan, Mithun Chakraborty, Leena Das, Dharmendra, Rohini Hattangadi, Aruna Irani, Manik Irani, Jagdeep, Satyendra Kapoor, Kimi Katkar, Huma Khan, Raza Murad, Anita Raj, Ranjeet, Sharat Saxena - Hum Se Na Takarana (1990) | Hindi Movie | 5.0/10 | Synopsis : Young, orphaned and homeless Amar rescues young Vijay, and gets adopted by his single mother, Ganga. 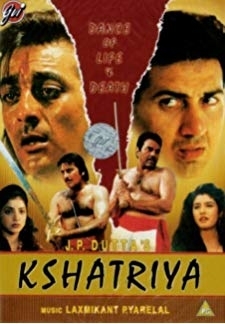 Both children grow up in Sharifpur, a town that is oppressed by Thakur and his goons, ... ... Watch Online!! !